The Tao of Allowing is a book by master spiritual teacher, GP Walsh. 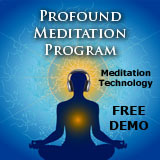 It is a direct look at the actual how to of allowing: our emotions, our experiences, and everything else in our lives. There are a lot of materials out there that talk about the importance of allowing, receiving, non-resistance and similar subjects, but few that give practical steps and foundations that make it a clear practice and way of life. It is sometimes described as “the intuitive knowing of life, that of which cannot be grasped full heartedly as just a concept, but none the less through actual living experience of ones everyday being”. Although these definitions seem overwhelming and difficult to grasp, this book is anything but! Having read “The Secret”, I have always been curious to know more about the Law of Attraction. I knew there had to be more to it than just “wishing” for things to magically appear. 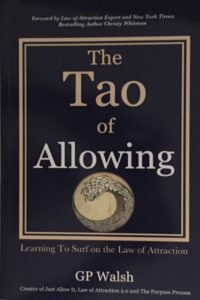 This book, The Tao of Allowing, is written as a road map that enables the reader to understand the fallacies and pitfalls that need to be avoided, as well as the ideas and concepts that need to be incorporated into ones life to attract ones wants and desires. Reading this book was like having a conversation with the author, GP Walsh. He talks TO the reader- not down to the reader. He takes a subject that has been the focus of countless books, tv shows, articles, and yes, even a movie, and breaks it down into material that is easily understood. The book acts as a guide to actually reprogram our nervous system NOT to suppress uncomfortable feelings, but to embrace discomfort as part of the process of our evolution. GP takes us all the way back to what he calls “the contrived and artificial behaviors” that were programmed into our psyche to ensure our safety and acceptance into our “tribe” or family unit. As GP points out, the Law of Attraction is a practice, and like any other practice , requires some effort on our part. He emphasizes that “allowing” is the key to experiencing success and provides the reader with the tools and the training to achieve this state. He emphasizes that allowing us not a skill, but a way of life. It is not information that we learn , it is a way of “being” that you train yourself into. It is not something we do, it’s a state we achieve. It encompasses all the potential ways in which we will react to any event before the event has actually occurred. If one is in a constant state of resistance, he will react in a defensive, protective manner. However, if one is in a state of allowing, the resistance falls away. Of course this is an over simplification. 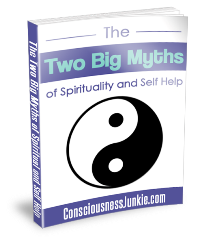 The book breaks it all down into manageable sections that flow and are easy to comprehend. GP incorporates his own unique sense of humor which makes it as enjoyable as it is informative to read! There are so many pearls of wisdom within the covers of this book that I don’t know where to begin! GP points out that to study the Law of Attraction is to study “yourself”. He makes it clear to anyone who reads this book that struggle has become a way of life. He emphasizes how afraid we are of change and how deeply we fear losing what we have, even if what we have is less than desirable! “The caterpillar always comes first, then the butterfly, always!” Many of us fight to remain the caterpillar. Our nervous system is that frightened of change! The book also contains some exercises as well as various web sites one can access to either further explore the training and techniques, or to simply learn more about this subject. It is clear that GP Walsh knows this topic well and is able to impart his knowledge in such a way that the Law of Attraction becomes less of a secret, but a way of attaining a whole new life! I would highly recommend this book to anyone interested in pursuing this topic.